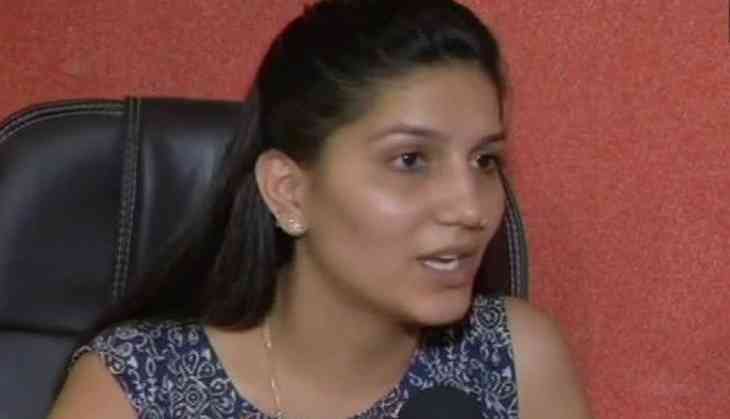 Haryanvi dancer Sapna Chaudhary said she does not seek an apology from Bharatiya Janata Party (BJP) leader Ashwini Kumar Chopra and is 'okay' with him calling her a 'thumkewali' (dancer). Soon after Sapna reportedly visited UPA Chairperson Sonia Gandhi's office on Sunday, Chopra said the Congress party must decide what is more important to them, winning elections or 'thumkas' (dance move). Talking about the same, Sapna told ANI: "I am not joining any political party. I have no interest in the field. It would be meaningless to say anything on the remark (made by Chopra). He is a politician and should think before speaking. Still if he has said something then also it does not affect me. I'm okay with that." She added: "Whatever a person speaks is based on his own ideology. You can't stop anybody from speaking. It's not my job to stop anyone. My job is to entertain. There are few names used to call us which we feel bad for. However this does not really affect us. I don't want him to apologise as he is older than me. I respect him a lot. I did not feel anything about this." Earlier while speaking to media in Karnal, Haryana, the BJP MP said: "Congress has people already who dance, and that's enough. The party needs to prioritise what they want to do, whether they want to dance or win an election. (Congress mein thumke lagane wale jo hain woh hi thumke lagayenge, yeh unko dekhna hai ki thumke lagane hain ya chunaav jeetna hai)." Chaudhary reportedly paid a visit to Sonia's office on June 24; however, she was unable to meet the UPA Chairperson. Interacting with media, Chaudhary expressed her keenness towards the Congress and Sonia Gandhi, which has raised speculations of her joining the Party in the near future. She was last seen in a dance number in the film 'Veerey Ki Wedding'.